The Mountain Maid Gold Mine is one destination that comes highly recommended by Rhonda Blackwell, a local that is proud to call Barrington tops her backyard. Although the mine is now closed, it remains a portal into the past and an excellent spot for the family to uncover hidden treasures. Rhonda fondly recalls finding a gold nugget attached to a small pice of quartz that she now wears around her neck, and estimates to be valued at $460. She also tells a story of how a small child found a massive nugget while he was playing downstream with his family around seven years ago. It becomes easy to see just why our ancestors caught the gold rush fever those many years ago. Panning for gold makes for great fun, just watch out for the leaches when panning in the creek. Mountain Maid Gold Mine, Barrington Tops. Photo NSW Government. You can take the challenging walk up to Thunderbolt's Lookout which starts from Nomads Picnic area. The last part of the walk is quite a challenging climb up large rock formations. Once at the top the 360 degree panoramic views are breathtaking and a great reward for your hard work. On the way back down you can relax and and have lunch amongst the shady trees of Nomads Picnic area. Ladies well provides a stunning spot to unwind and take in the magnificent scenery. A great spot to perch up on the rocks and watch the water cascade down into the pool below. 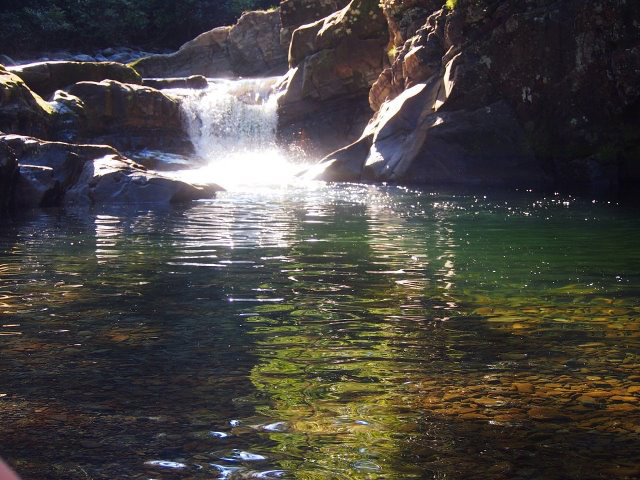 Also a wonderful spot to take a refreshing swim in the warmer months. Ladies Well Barrington Tops National Park. Sent in by our mate Brett Gambrill. Polblue Swamp Walking Track, Barrington Tops National Park. Photo NSW Government. 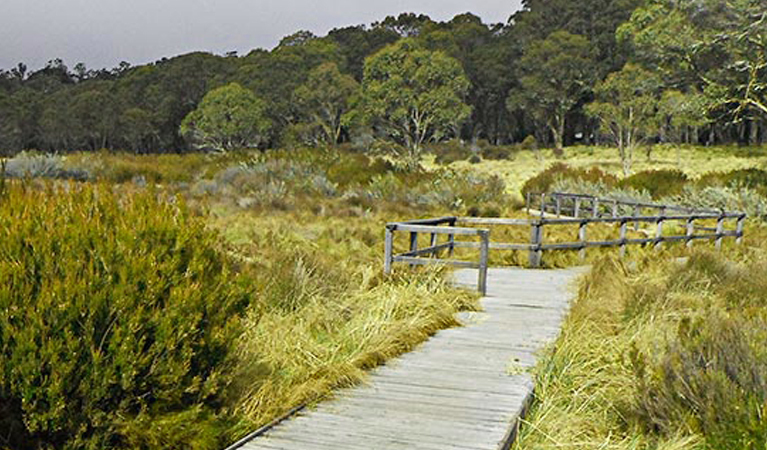 This easy to follow 3km loop board walk can be accessed from Polblue campground and Picnic Area. It will guide you through the mistic wetlands and high altitude forests of the Barrington Tops Plateau. A great platform for spotting wombats, kangaroos and the diverse flora and fauna of this spectacular region. Allow approximately one and a half hours to complete the walk, after which you can enjoy a picnic with family and friends at the picnic area and unwind. The spectacular Gloucester Falls can be discovered by following the Gloucester Falls walking track. The walk begins from the nearby picnic area and takes approximately one hour each way. This relaxed walk is ideal for the whole family to explore the lush sub-alpine forrest and marvel at the breathtaking views from the Andrew Laurie Lookout. Continue along the track to uncover the multilevel water cascade offered by Gloucester Falls. Upon your return you can enjoy a picnic at Gloucester Falls Picnic Area. Toilets and picnic tables are available here for you to enjoy. 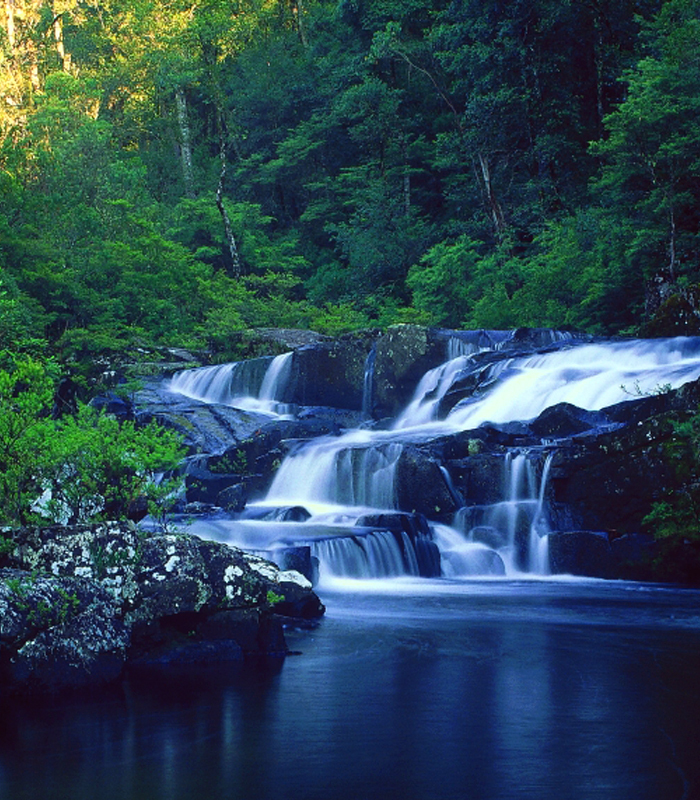 The stunning Gloucester Falls, Barrington Tops National Park. Photo from ecobiological.com.au. One of the highlights of Barrington Tops is the scenic camping. 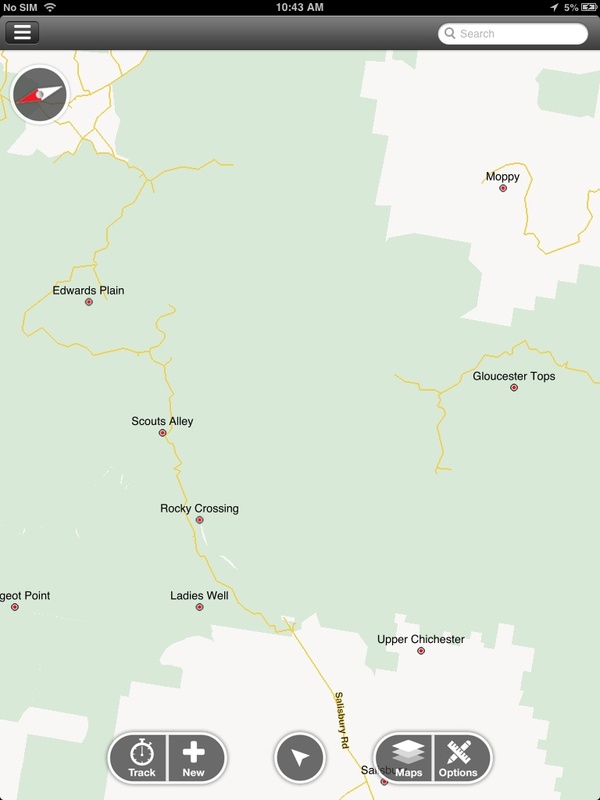 We will be using the Mud Map Barrington Tops map to highlight some of the top camping areas in the region. Situated in the lower Barrington's, Chichester State Forest, Allyn River campground is a great first stop on your way to exploring Barrington Tops. This is a free campsite and is dog friendly, so feel free to bring you 4 legged best friend along. Great access to the stunning Ladies Well and great for spotting wildlife. Bring your own firewood. Camping near Ladies Well offers great swimming, fishing and scenic views. Photo sent in from our facebook fan Anthony Gentleman. With an altitude of around 1,400 m, Devil's Hole campground is one of the highest camping spots in Australia. It provides access to Devil's hole lookout, an easy walk that leads to a large viewing platform with magnificent views of the peaks. Toilets and picnic tables available at the day use area. Mud Map Barrington Tops Map. Showing Manning River Campground, Devil's Hole Campground and Gummi Falls Campground. Click image to view full map. Beautiful setting by the river and close proximity to Gummi Falls. This grassy spot is ideal for the self sufficient camper and provides a secenic sanctuary perfect for fishing, swimming and spotting the diverse wildlife in the area. This is a scenic riverside camping and picnic area situated on the eastern edge of Barrington Tops National Park. This wide open space allows you to pick your ideal spot by the river among towering trees providing welcome shade from the afternoon sun. The site allows trailer and caravan access making it ideal for groups of all ages and vehicle levels. Mud Map Barrington Tops Map: showing Gloucester Campground, Gloucester Falls and Gloucester Tops Picnic Area. Click image to view full map. Set in picturesque subalpine forrest, with lovely grassy picnic area and access to Polblue Swamp Walking Trail and Barrington Trail (4WD track). This spacious ground caters for caravans, trailers and tents. A great scenic spot perfect for a picnic or barbecue and great for families. Mud Map Barrington Tops National Park map showing: Polblue campground, Polblue Swamp Walking Track and Polblue Picnic Area. Click image to view full map. - Most tracks closed from June to 30th of September, so best time to access 4WD tracks is between October and May. Coming in winter can still be fun to check out the snow. - Ensure you check park closure information thoroughly before you go as opening times are only a rough guide and tracks are subject to closure with little notice in the event of harsh unpredictable conditions. - Accurate GPS device is highly recommended as signage in the area is poor, and many tracks are hidden and difficult to find. Possibly the most iconic 4WD track in the Barrington Tops National Park. This track will take you from the lower Barringtons up to Tomalla road intersection. The maps of Barington Tops National park featured here are available for offline GPS use on Apple and Android devices via Mud Map 2 4WD GPS App and Mud Map Android App. Mud Map Barrington Tops National Park map. Available on Mud Map 2 GPS App and Mud Map M7 GPS. Click image to view full map. Barrington Tops National Park is one of the regions around Australia that has received significant improvements in data since the launch of The Mud Map Project. Below are some BEFORE and AFTER shots of the region. Community members have worked together with our mapping teams to add excellent track and POI data. A very big thank you to everyone that contributed. A special thank you to our good mate Nathan Van Der Meulen for his fantastic contribution. Have something to add? Please comment below and we will add your contribution to the Blog.